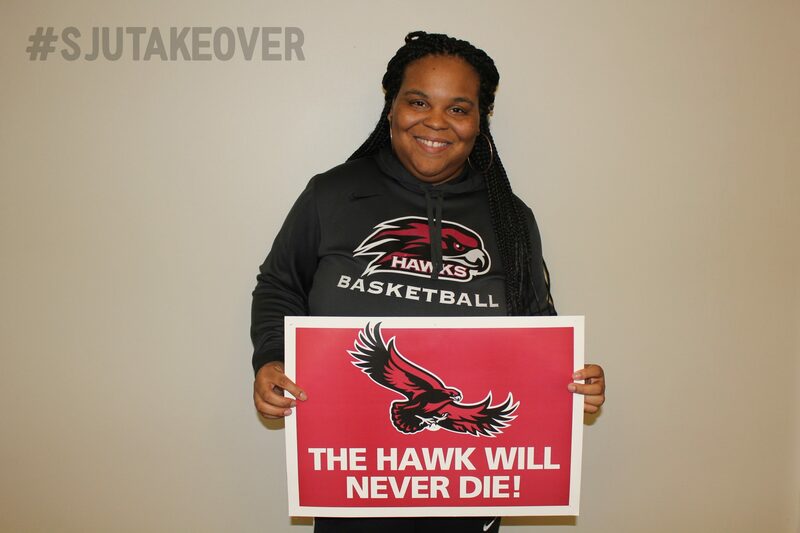 Deja Wiggins is participating in our #sjutakeover on March 26th, 2017. She and other students will be taking over the SJU Admissions office to answer prospective students’ questions about their major and involvements at SJU! Sports have always been one of my favorite pastimes. I went from playing basketball as a child to coaching it during my teen years, and now I am managing our Division-I Women’s Basketball team. As a sports fan, naturally, the perfect job would be anything in the sports industry. I came to Saint Joseph’s University as an Undecided Business major and declared Sports Marketing at the start of my sophomore year. To this day, I am convinced that this decision will always be the best one I have ever made. To start, the professors in the Haub School of Business are amazing. Before declaring a major, I looked online to see who was in charge of the Marketing department for some guidance. Dr. David Allan welcomed me into his open office door and talked to me as if I was one of his students. Our conversation was authentic and honest, and I even left with a meeting set up by Dr. Allan with the Senior VP of Business Operations for the Philadelphia 76ers. Since then, I have interned with the 76ers, Phillies, Flyers, and Eagles throughout my four years here at Saint Joseph’s. On top of that, I am the Head Manager of our Women’s Basketball team, a tour guide and student worker in Admissions, and a Writing Center tutor. I have done everything I’ve wanted, as well as things I never considered to be options. If I were to be completely honest with myself, I do not know if I would have had the same opportunities and experiences if I were at a different school. I wish I could say that I made it all happen by myself. My parents couldn’t offer me any professional connections and I didn’t have friends who put in a good word for me with each team. I attribute my success to Saint Joseph’s and my professors. Starting with Dr. Allan, I have met with and built relationships with some of the best professors. They were great because they were very personal and I feel that they care about my hopes and dreams. It also helps that many of them have connections and/or are active in the industry. In the beginning, I never pictured myself being who I am today. I never knew that I had the potential to achieve all that I have. Saint Joseph’s and the professors in the Sports Marketing department have helped foster my aspirations and guide me to where I am today. The greatest takeaway I have from my professors is that you cannot be afraid to speak up and be known. The worst thing that could happen is that you be told “no” or not receive what you expected. The best thing that could happen, however, is that you hear “YES” and you accomplish things beyond your dreams!